On December 3, 2014, Rev. Fr. 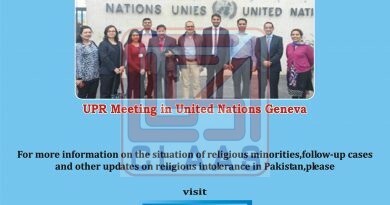 Mushtaq Piyara, Parish Priest Hafizabad informed CLAAS telephonically that a young Christian girl Noreen Bashir aged 14 resident of Thatha Gondal Hafizabad was kidnapped on November 26, 2014 by a Muslim named Aftab Sarfraz aged 35 and forced to embrace Islam and married to her kidnapper. Thatta Gondal is a small village closed to city Hafiz Abad (about 7 to 8 km far from Hafizabad) populated with two Christian families who living among over 100 Muslim families. Majority of the people are illiterate in this area either they Muslims. Christian families are deprived of religious activities they do not go to the church for prayers. Noreen’s family lived here since her for-fathers. 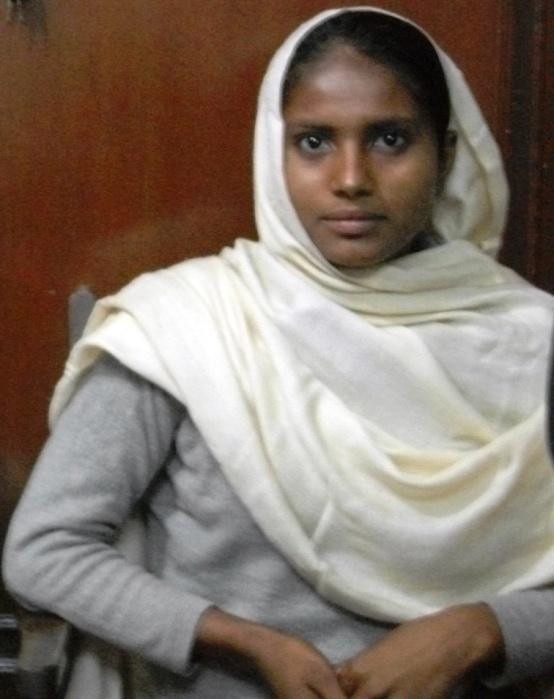 Noreen aged 14 is a daughter of poor parents Bashir Masih aged 45 and Ruqqiya Bibi aged 30. She has six brother and sisters namely Waqas 18 year-old, Ilyas 17 year-old, Abas 16 year-old, Shagufta 13 year-old, Shamila and Amir twins aged 6. Her father is a laborer and work hard to fulfill the needs of such a big family. He hardly earns daily bread as her mother Ruqqiya is a house wife. She lived in a clay-built house along with her family at Thatha Gondal Hafizabad. During the Monsoon the roof of their clay-built house was fallen, in this regard Bashir Masih has to manage rebuild of his house though he is poor. On November 18 2014, Bashir Masih hired a local mason Aftab Sarfraz s/o Muhammad Arif, resident of Mahalla Bahawalpura for his house re-construction, for 800/- (Eight Hundred Pak Rupees) par day wages. Aftab worked about 8-9 days at his house meanwhile he saw Bashir’s beautiful young daughter Noreen aged 14 and kidnapped her at the end of his work. On November 19, 2014, Bashir Masih has have to go to attend a funeral in the family, Aftab (Mason) asked Ruqqiya Bibi (Noreen’s mother) to bring a coke/cold drink for him as he was not feeling well. Ruqqiya immediately went out to the shop to buy a drink for him and meanwhile he escaped and took Noreen along with him forcibly. On return Ruqqiya did not found Aftab, she was astonished when her daughter was also missing, she search for her but could not find. Aftab took Noreen to a village in Sargodha at his friend’s place. On November 23, 2014 Aftab forcibly get married to Noreen under Islamic rites and also converted her in to Islam. After marriage and converting Noreen in to Islam Aftab took her to his family and lived there. The disturbed family of Noreen informed Dr. Rafaqat, resident of Hafiz Abad. He is a president of Christian community and runs his own Clinic and pharmacy at Thatha Gondal Hafizabad. Dr. Rafaqat Masih promised to help Bashir Masih. He took gathered few influenced Muslims in the area including the district Nazim to pressurize Aftab and his family to return back the girl to her parents as she is a minor and been forced to embrace Islam and get married. On December 2, 2014, Dr. Rafaqat and few other community members and some Muslims friends accompanied Bashir Masih and his wife to the local police station Kasoki and gave an application for the registration of case first information report against Aftab for kidnapping Noreen. On December 03, 2014 Fr. Mushtaq informed CLAAS about the incident and asked for legal help in the kidnapping case of Noreen. Fr. also informed that Dr. Rafaqat Masih is an influenced person in the area and along with few respectable Muslims including area Nazim was trying to bring the girl back to her parents. Fr. also asked CLAAS for shelter for Noreen as they were very sure that they will get her back but the mean time afraid from the Muslims extremists as they could harm Christian community or Noreen’s parents to keep her in Muslim faith for life time. On December 03, 2014 Aftab and his parents came to Dr. Rafaqat’s house along with Noreen and they returned the girl back. 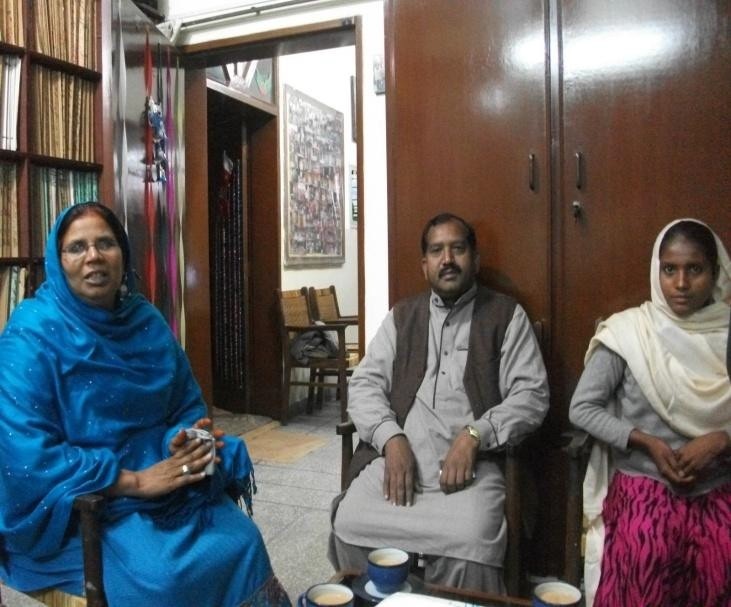 Aftab was apologized to the parents of Noreen and the people gathered at Dr. Rafaqat’s house. He also requested to withdraw the legal case against him as he never ever will disturb Noreen and her family in future. He also said that Noreen is not his wife any more. Police was also present at the spot and they completed all written requirements. On December 5, 2014 CLAAS arranged safe travel of Noreen to Lahore through Dr. Rafaqat Masih and his wife Razia Bibi. They shared the whole incident with Mr. Joseph Francis, National Director CLAAS. They asked safe accommodation to Noreen as her life was on risk by the Muslims extremists. Being a Muslims (either with her will or not) she could not stay with her parents. Dr. Rafaqat and Fr. Mushtaq asked CLAAS for legal assistance in this case as there is need to file dissolution of marriage, petition in the Session Court on behalf of Noreen to get her divorce legally. “I am 14-year-old and on the 4th number in my siblings. My parents are poor and my brothers work hard along with my father to fulfill the need of family”. She said that the roof of their clay-built house was fallen due to heavy rains in this summer. Her father, manage repair the house and hired a local mason for construction. She said that her poor parents could not afford two three laborers to pay daily wages therefore they worked along with the mason themselves. Mostly Noreen along with her mother helped to pass bricks and other material to the mason. Noreen had to cook food for the family and mason for the lunch and served him accordingly. Some times when the other family members were away from the house she had to work alone with Aftab. Therefore he took advantage of her immunity and easily succeeded to induce her. Noreen felt Aftab’s interest in to her but did not disclose on her parents. He forcedly took her with him to his friend’s place in Sargodha another city where she was raped by him repeatedly and after that he get married to her forcefully under Islamic rites and converted her in to Islam. She said I do not know much about my religion but want to remain in Christ. She also said that she was worried about her younger sisters and wants to help them to keep them safe to be the victim of wrong intention of anyone like her. She is a strong and brave girl, and wants to learn stitching to work and change the future of herself and her family. 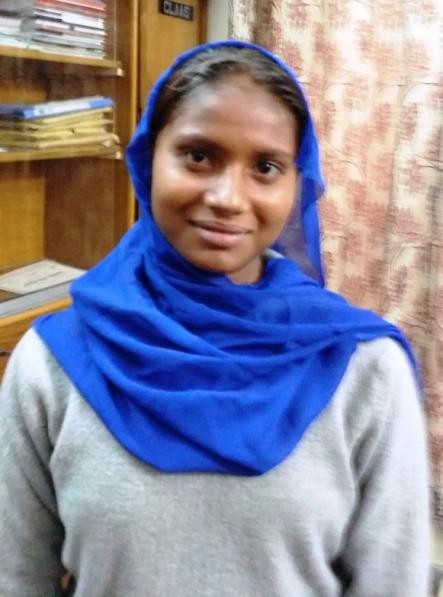 Since Dec 05, 2014 Noreen Bashir has been accommodated at CLAAS shelter home she is happy as she is back to her religion for which she was thankful to God.